In his opening remarks, the Chairperson of the African Union Commission, Moussa Faki Mahamat commended the quality work done by the Permanant Representatives’ Committee (PRC) with the view to establish appropriate conditions conducive to the success of this meeting of the Executive Council. He further commended the encouraging level of contribution to the Peace Fund aimed at consolidating peace effeorts within the continent. The AUC Chairperson expressed the hope that by 2020 AU will be able to finance itself at 100% if we maintain this trend of increasing interest by the Member States willing to contribute substantively on peace keeping in Africa. The Chairperson underlined that the AU Commission can persue this commitment and resolution and will rely on Member States to support the trend of self-financing. in different reports of experts show that the resources deviated from Africa through corruption if they were to be invested in development will avert and avoid us to rely on external assistance which is only a support to the potential of the continent. He added that the Report of the High Level Panel on Illicit Financial flows from Africa shows that corruption accompanied by the Illicit financial flows puts the loss of more than $50 billion a year. The Chairperson reiterated that all African nations are concerned with the theme of this year and through our collective efforts and actions we can win the fight against corruption. On the issue of institutional reforms, the Chairperson said that the Reform Implementation Unit is already at work. A report to that effect is being examined following the Report of H.E. Paul Kagame to be presented during the Summit for consideration. Chairperson Moussa Faki expressed satisfaction on the broad consensus on the need to insure financial independence through the application of 0.2% levy on elegiable import. He stressed that it is an issue of dignity and decision making sovereignty “Without its independence Africa is nothing. With its independence it can be everything” added the Chairperson. Mr. Moussa Faki welcomed the Kigali decision regarding the financing of the Union by Ministers of Finance of 10 (which will become 15) to address the difficulties and ambiguities. The Executive Secretary of the United Nations Economic Commission for Africa (ECA) Ms. Vera Songwe in her remarks noted that the only lasting and winning formula for independence and for a transformed Africa is that we collectively conquer corruption as it is preventing sustainable development. She welcomed the fact that AU has decided to take the theme fighting corruption as the theme of the Summit. Executive Secretary of the ECA deplored corruption for robbing women & youth of opportunities “When our youth do not believe in their leaders and institutions, we cannot get the Africa we want” reiterated Ms. Songwe. The Chairperson of the Executive Council, the Minister of Foreign Affairs of the Republic of Guinea, H.E. Mr. Mamadi Touré, thanked the AUC Chairperson for outlining the key focus areas for the Executive Council. He stressed the need for the Council to accelerate the implementation of the AU financing and the continental free trade area to expedite Africa’s self-reliance in order to improve living conditios. The opening ceremony of the Executive Council meeting took place in the presence of former OAU Secretary Genral H.E. Salim Ahmed Salim, H.E. Mr. Thomas Quartey, Deputy Chairperson of the AU Commission (AUC), Commissioners of the AUC, AU Organs officials, representatives from the diplomatic corps, the international community, civil society, private sector, invited guests and the media among others. 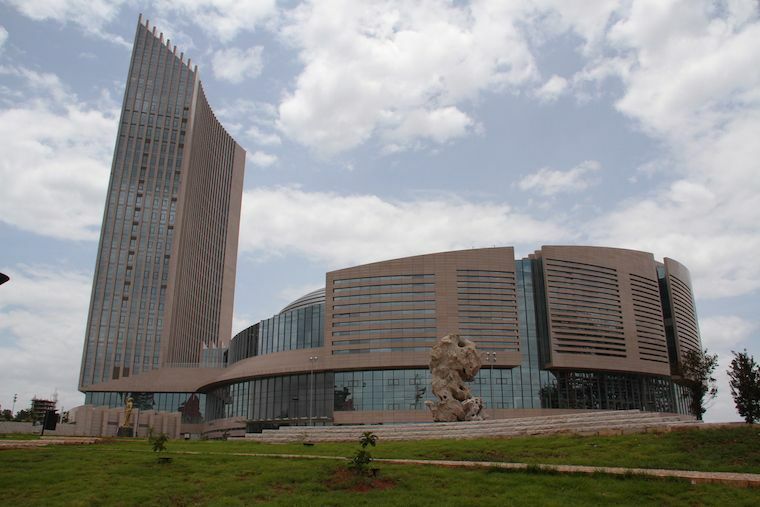 In its deliberations over the coming 2 days, the Executive Council is expected to discuss the AU budget, review various reports, consider the draft decisions of the Assembly as well as prepare the agenda of the Assembly among other matters. The Executive Council's adoption of the various Decisions and Declarations would be forwarded to the Assembly of the Heads of State and Government holing at its 30th Ordinary Session Summit on 28-29 January 2018.